Emily Griffin of Lisbon Falls unpacks a Blue Apron meal kit as her 2-year-old son, Everett, watches. She uses the delivery service for "the convenience factor," she said. Below, the recipe and ingredients for Smoked Trout Tartines. 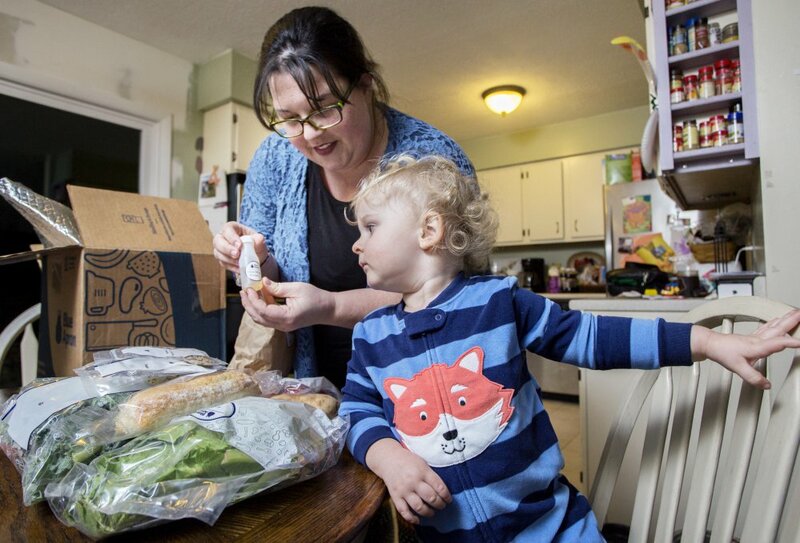 Emily Griffin of Lisbon Falls unpacks a Blue Apron meal kit as her 2-year-old son, Everett, watches. She uses the delivery service for “the convenience factor,” she said. Below, the recipe and ingredients for Smoked Trout Tartines.